George Sparkes was born in Ireland in 1843. married in 1870 at Auckland, New Zealand to Emily Ellen Curran (1848-1917). They had three sons and two daughters. One of his sons, William Henry Sparkes, was also an alderman on Camperdown Council. George Sparkes died on 25 July 1917, aged 74 years. George Sparkes was a Secretary of the Free Trade Association of Newtown. 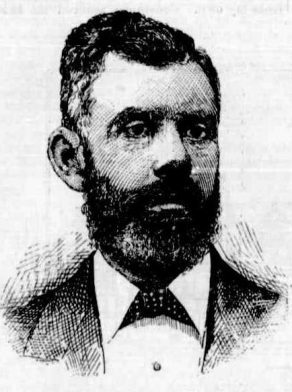 Sparkes stood unsuccessfully as Independent candidate for Newtown in 1898 and 1904. George Sparkes, an aldermen on Camperdown Council from 1879 to 1908, recalled a large tract of the municipality, Sydney University, RPA Hospital, were not rateable, and Camperdown Council never had sufficient revenue to properly administer the area. The loan to build its town hall, resulted it being sold in 1901 and demolished in 1917. Evening News 13 February 1917 p. 8.